Few artists have rendered the art of failure as enjoyable as Claudio Fragasso did with his 1990 film Troll 2. The combination of stilted acting, awkward dialogue, and a plot that makes any exploitation picture seem drab by comparison helped make Troll 2 a cult phenomenon. Four years ago, Michael Stephenson, who played Troll 2’s young protagonist, Joshua, decided to pick up a camera and trace the film’s history. The result is Best Worst Movie, a surprisingly moving feature on the lives of those involved in the film. (Catch the documentary and the film, back to back, Saturday at The Marquee in Union South.) Stephenson spoke to The A.V. Club about the chemistry behind Troll 2, how a dictionary can influence a film’s dialogue, and the communal nature of good-bad movies. The A.V. Club: Calling your documentary Best Worst Movie sets a high standard for Troll 2. 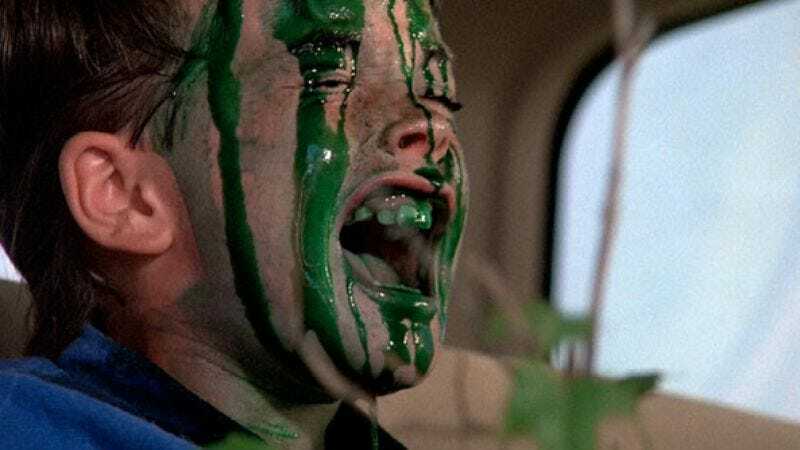 Are you up for comparing Troll 2 with some of the other well-known, good-bad movies? Michael Stephenson: You know, I would love to, but believe it or not, I still haven’t seen The Room. I haven’t seen Birdemic. These are all films that are on my list, but by no means am I an expert on those films. AVC: What bad movies have you seen? MS: There’s a print that came in to the New Beverly theater here in L.A. called Carnival Magic. It’s bad; it’s ridiculously entertaining. It’s about this linguistically gifted primate who is part of this carnival family that offers counsel to members of the carnival. AVC: How does that rank against Troll 2? MS: I don’t know. I can’t really be objective for Troll 2. Here’s an interesting thing that I’ve been thinking about regarding Troll 2, The Room, Birdemic, and even other bad-good films like Plan 9 From Outer Space: I think that one of the differences is that a movie like Troll 2—the director, Claudio Fragasso, he would never all of the sudden start promoting Troll 2 as a movie so-bad-that-it’s-good. I just don’t see Claudio promoting his film that way, nor would I have seen Ed Wood promoting his films that way. I think it’s kind of interesting to see some of these recent films like Birdemic and The Room, where the filmmakers are actually getting behind these films … and I know Tommy Wiseau has called it a dark comedy, but these directors are pushing these films and getting behind them for what they are, as these so-bad-they’re-good-movies. Claudio would never say, “Okay, this is a comedy; this is meant to be bad, that’s why it’s funny,” because he doesn’t feel that way. MS: I think it takes away a little bit from the very reason why people come together and enjoy these types of movies, and that’s because they are genuine failures. They weren’t meant to be what they are. What’s happened is accidental, and it’s accidental brilliance nonetheless, but it is not something that was strived for in the production of these films. It’s interesting because you look at Troll 2, and it has not only that—you have one of the most sincere Italian artistes behind it. This is his film about vegetarian goblins. In many ways, it was his chance to make an American movie, and so much of what comes through in the film is his perspective on American culture, which is an element that certainly adds to that bad-movie enjoyment. On top of all that, you have a production crew that could hardly speak English. You had actors that couldn’t act. All of us, we didn’t know what we were doing. All of this took place in small-town Utah, out in the middle of nowhere. It had an abysmal effect. AVC: There seems to be a foreign element to a lot of these films: Often the films don’t seem like people made them. Yet, you can tell that there’s a human element that a lot of times is just lost in translation. MS: Right. Exactly. That whole foreign element with Troll 2 is fascinating because Rossella [Drudi], who wrote the script, wrote it all in Italian, and then literally translated it through the Webster’s Dictionary at the library in Park City, Utah. And so you have these completely different meanings. AVC: What do you think the audiences of Troll 2 or other so-bad-they’re-good films get out of watching these movies? MS: It’s a shared, communal experience. Oftentimes, it’s happening at these arthouse theaters that, really, may not be around for much longer. It won’t be long before they’re high-rise condos or turned into parking lots. So for a film to create this experience to drive people to the theater and watch this film together and have this shared, communal experience, I think it really enhances community. I don’t want to sound all sappy about it all, but I see friendships that have been created over Troll 2 and have lasted years because of Troll 2. I think it’s a very personal experience.